The Cygnus wireless fire and first aid alarm system which was launched by Bull Products only last year, was designed and developed with a number of major construction companies as a temporary system for use on construction sites. Despite its temporary use, the Cygnus system has an impressive capability for linking together 480 units in 15 zones around a construction site, each zone having a capacity for 32 units. The system can of course be used time and again on many different construction sites. 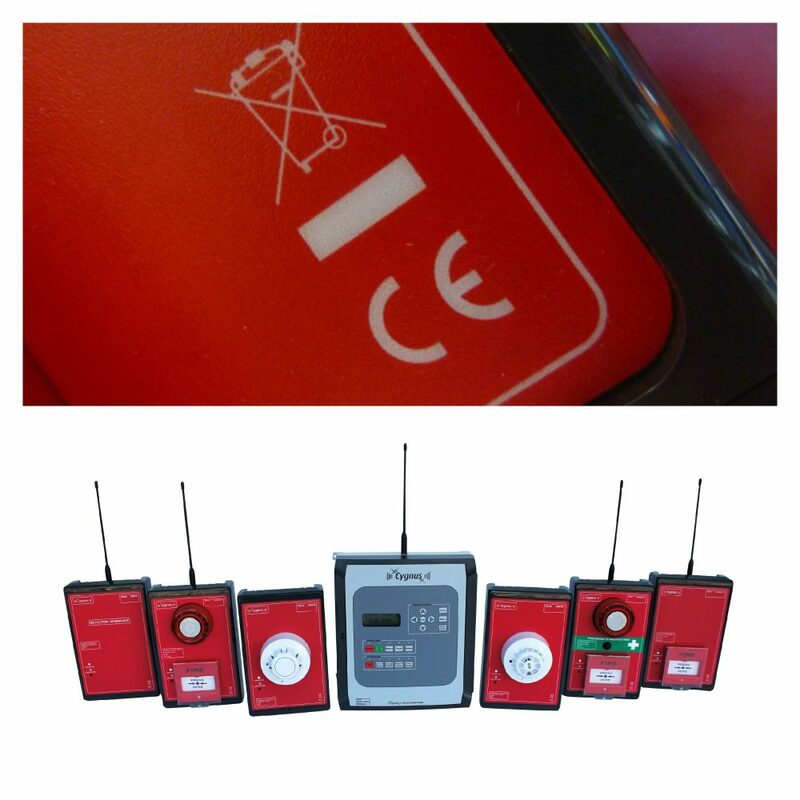 Although the Cygnus wireless fire alarm system is CE marked under the RTTE and RoHS Directives, and meets the requirements under the batteries and accumulators and WEEE Directives – the product is not required to be CE marked under the Construction Products Regulations 305/2011. These latter regulations apply to construction products which are produced and placed on the market for incorporation in a permanent manner in construction works. The Cygnus system comprises a choice of units which are battery operated and include fire alarm call points, smoke detectors, heat detectors or first aid call points. There is also an optional control panel which provides very sophisticated capability with an event log function which records any events such as an alarm activation, low battery warning, and signal faults, all of which can be viewed if necessary in the history folder held on the panel. The system operates on a category 1 radio frequency and open air tests have proved the Cygnus system range can exceed 1.5km. The Cygnus system is extremely comprehensive. All call points are IP65 rated for water protection and all detector units have an internal sounder for alerting. There is also an option of a GSM data link for remote access and text notifications of alarms to users. Bull Products offers a one-year guarantee on all Cygnus devices and provides high levels of technical, on-site and after-sales service support in addition to its standard maintenance contract.